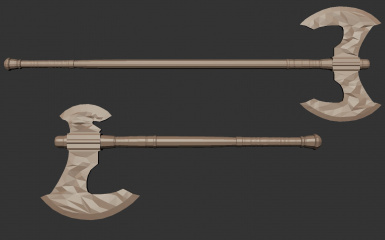 1h and 2h axes fashioned in orcish style. Do not upload to any other site. 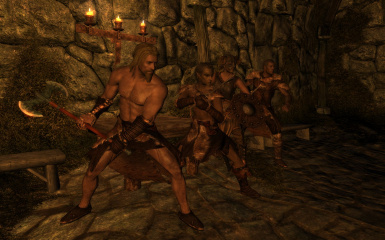 This mod is supported only on nexus. If you want to modify, use assets or made any changes, ask me first. 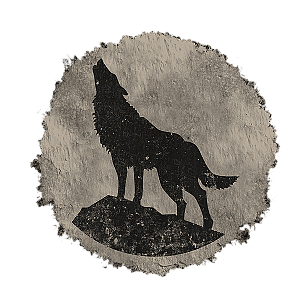 Bethesda for skyrim and FromSoft for many of my inspirations. Main file and optional textures added. 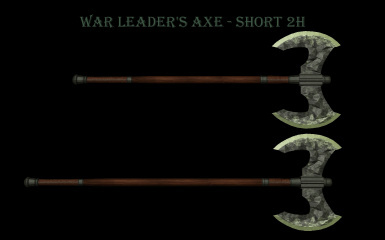 1h and 2h orcish and steel axes. 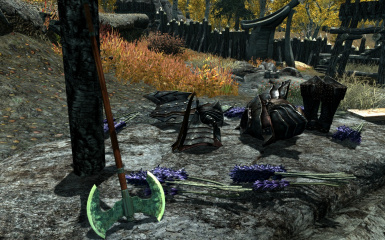 As part of Garrus's Axe Compilation by Tarshana's mod team. 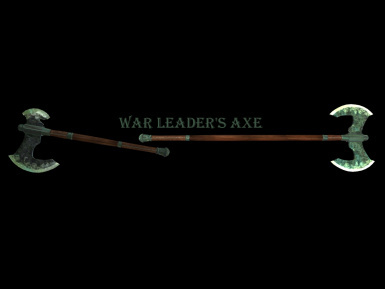 Looking for an axe worthy of your orc warchief, barbarian, shieldman or warrior? Some sturdy weapon to chop heads and split shields? 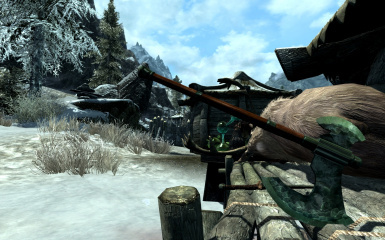 This mod adds two new axes, both 1 handed and 2 handed with unique meshes and custom made 4k textures. 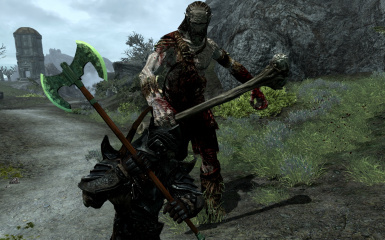 Both axes come in orcish and steel versions, for you to pick what suits best to your eye and your character. 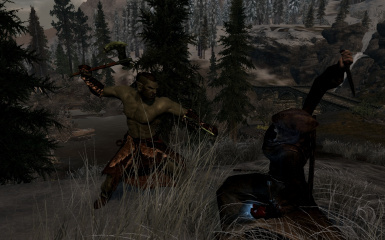 Axes are craftable in forge under steel and orcish smithing and can be upgraded and enchanted. 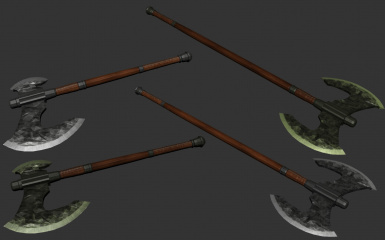 All weapons are added to level list. 2k and 1k textures are available. 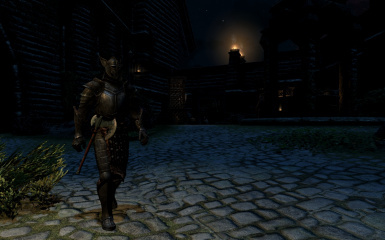 Use "overwrite" function in Nexus Mod Manager or "merge" in Mod Organizer. If the 2h shaft seems to long to you, I have added standalone version with shorter shaft. Instal directly into \Data folder, or with your mod manager. 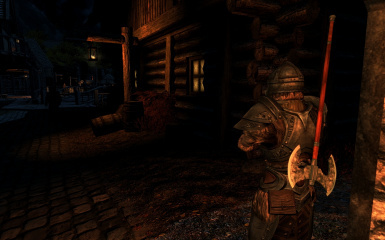 Apperance Skyrim Mod Library #5 thanks to PixelGamer - from 1:13 to 1:51. 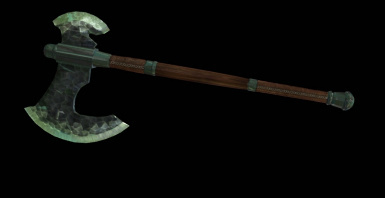 Inspiration for axe shape comes from an axe that was part of one dark souls 2 preorder bonus statue. Any bugs report in the comment section and I will try to take care of the as soon as possible. Have fun crushing enemy hopes.